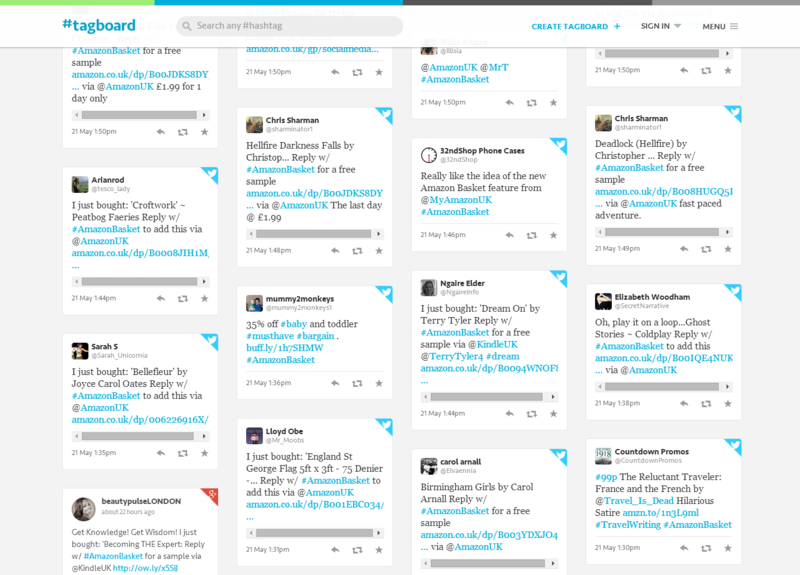 The first ever hashtag #barcamp was used back in 2007 to group up posts relating to the BarCamp conferences taking place at the time. From there hashtags have come a long way, leading on to reflect people’s day to day emotions “#feelingenergised” and more generic personal hashtags such as “#simplepleasures” and “#loveit” through to being jumped on by big brands. Whether we love them or hate them, its true hashtags are taking over the social world, filtering through to Instagram, Facebook and Pinterest, however one thing we didn’t see coming so soon was the direct integration of shopping with a hashtag. 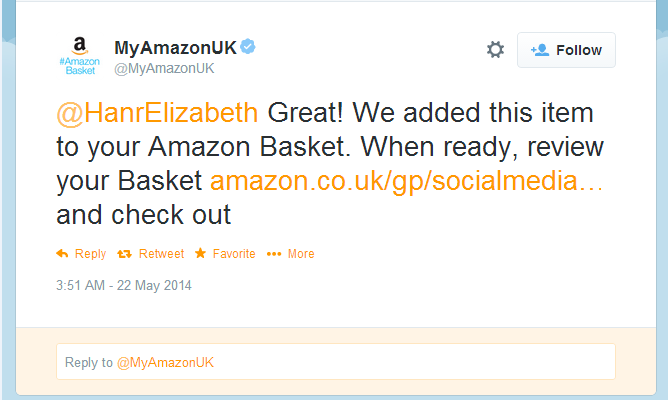 Ever the innovator Amazon was of course (as the introducer of ‘one-click’ purchasing) the first brand to drive head-on into the future of social selling with the #AmazonBasket hashtag (#AmazonCart in the US). 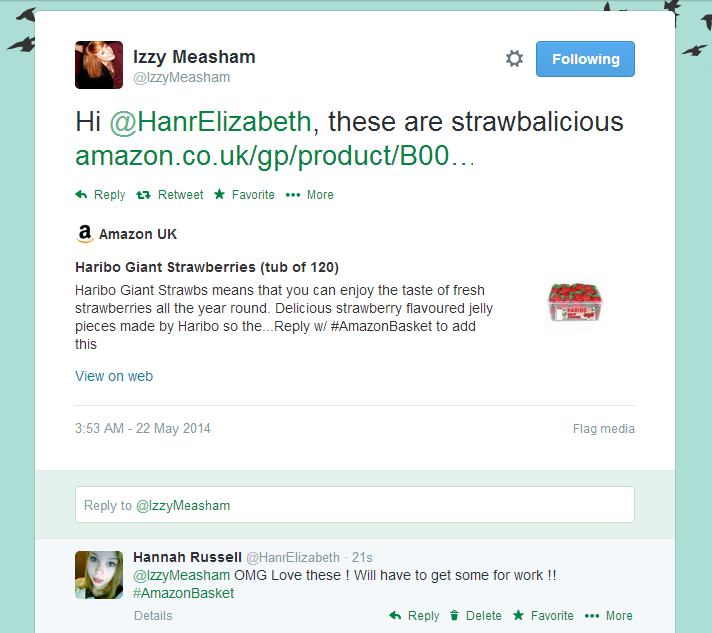 Streamlining the process of impulse purchasing from products you see recommended by influencers on Twitter, the hashtag allows individuals to add products to their Amazon shopping baskets simply by replying to a tweet with a Amazon product URL in with #AmazonBasket. And there we have it, click the link and it goes straight into your basket ready for you to pay ! As this process works with any Amazon product URL, it is inevitable that Amazon Sellers and authors/product producers alike will begin to take advantage of this direct path to potential purchases. However, Mary Alice Stephenson in the US made a great point that many may see this form of selling as the equivalent to a cold caller bursting in during a meal with your friends. Realistically the service seems to be primarily used for purchasing books, which may be a reflection of people’s desires for some things to remain personal. However this development in the link between social and selling is extremely interesting and paves the way for other companies to develop similar streamlined services; but perhaps they will consider some more private options (I like to keep my purchasing of Twilight books a secret). One thing the #AmazonBasket service offers is a clear picture of who are loyal customers, as these people are those willing to share their intent to purchase with the world. We’d love to hear your views on Amazons new service – in particular if you’ve actually made use of the hashtag, let us know in the comment box below. 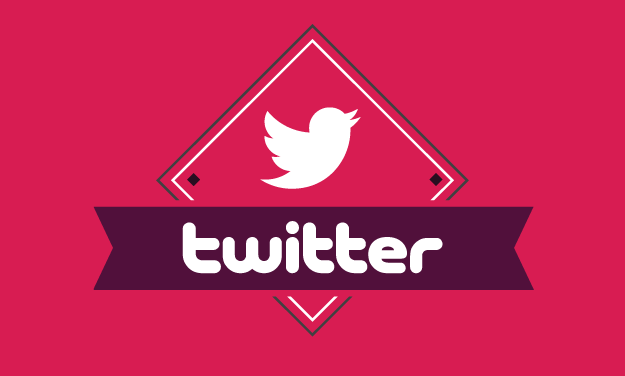 We have to say it will be particularly interesting to see how this service develops with Twitter having announced the potential scrapping of hashtags– where will this leave its new partner?